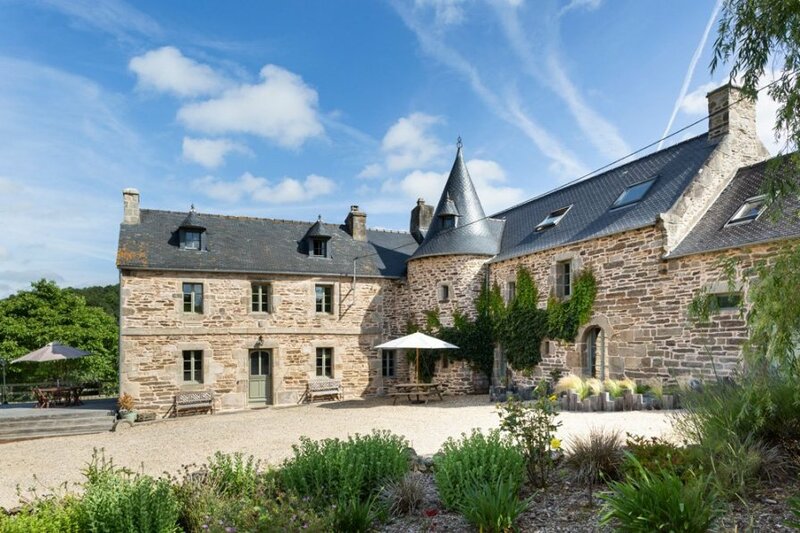 Explore sandy beaches and experience a house steeped in history at the 15th century Manoir de Kervegat, a holiday chateau in Brittany only 8 min drive from Plestin Les Greves. Explore sandy beaches and experience a house steeped in history at the 15th century Manoir de Kervegat, a holiday chateau in Brittany only 8 min drive from Plestin Les Greves. The 7 acres of beautiful private gardens contain a pond and a splash pool the kids will love. Enjoy woodland and coastal walks, bike rides and barbecues. If you're in the mood for some competition, there's badminton, American billiards and a games barn with table tennis. The home retains some original features, like wooden beams and a stone spiral staircase, but the fully equipped kitchen has an American fridge, and you'll love the modern bathrooms. The 7 bedrooms include 2 family rooms and 1 ground floor bedroom with a king-size four-poster bed. At night, you'll appreciate the TV room with DVD player and children's games. On the ground floor there is a fully equipped kitchen with American fridge, and a huge medieval hall/sitting room with a large decorative fireplace and galleried mezzanine. There is a dining room, with a decorative fireplace, and a TV room with Satellite TV with Sky (English and sports channels available), DVD and children's games. There is also a ground floor double bedroom with king size carved teak 4 poster bed, together with an en-suite shower, WC and basin.